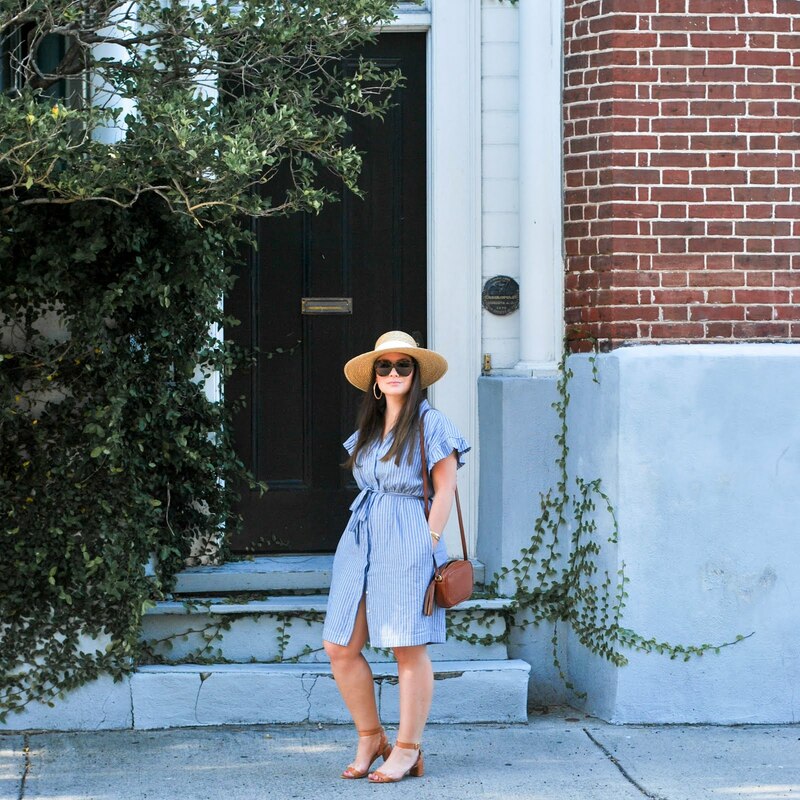 The deets: Topshop dress (old); J.Crew Panama hat; Ray-Ban aviators; Kate Spade studs; Rebecca Minkoff mini-love bag; Steve Madden sandals (old, similar). As I get older I get increasingly paranoid of the sun hitting my face. I used to be that girl that had an unlimited monthly package to a local tanning salon and refused sunblock just for the chance to get a couple shades closer to bronze. I was pretty dumb. 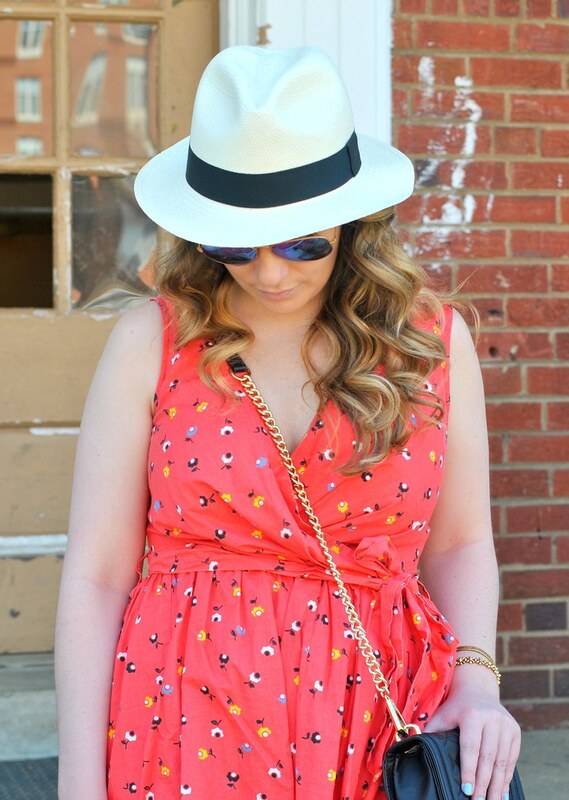 Now that I understand how fair skin like mine basically needs SPF 85 all the time, I like to get all the extra protection I can get, this hat and sunnies combo makes a great sun blocker team for those gorgeous days where I know I will be spending a big chunk of the day parked outside. 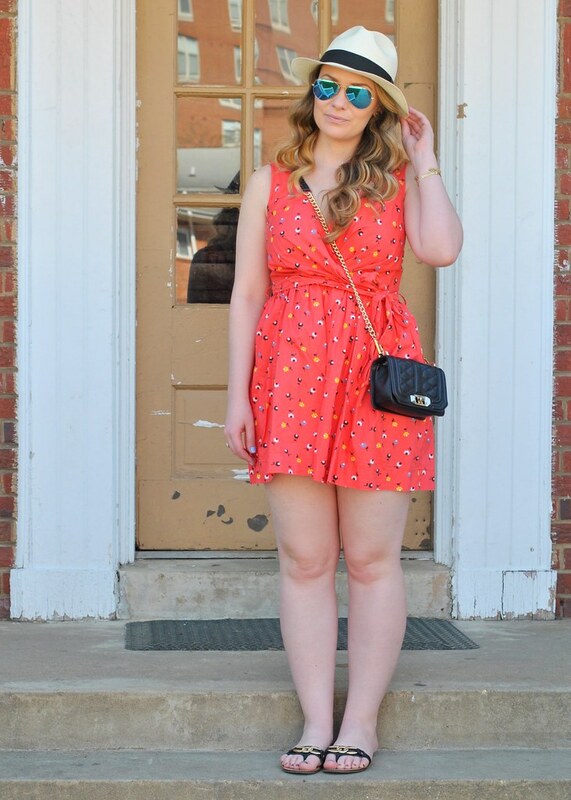 Such a cute & colorful romper and love the hat!